If you are looking for something new and exciting to challenge your chorus, consider taking a TLC Tours performance tour to Ireland! The Larivee Company Tours, Inc. (TLC Tours) has been bringing Barbershoppers to Ireland since 1989. TLC Tours will organize an customize a performance tour to Ireland based on the abilities and desires of YOUR chorus. Whether your chorus is an International Champion-or a smaller "fun" chorus, we can provide appropriate singing venues. There are choral festivals at various times throughout the year that includes "Barbershop" in their competitions. There are also Irish Festivals: Flower Festivals, Coffee Festivals, Food Festivals, Music Festivals, etc., throughout the summer months, that provide opportunities to perform. 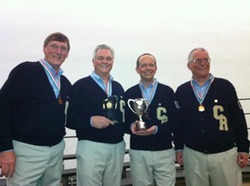 The IABS Convention takes place, annually, on the first full weekend in October and BHS, SAI, HI, and mixed quartets plus men's and Ladies chorues are eligible to compete. A free, no obligation quote is available for the asking. Please call Leo Larivee at TLC Tours (1-888-609-2930) for more information. Leo Larivee has been organizing Barbershop Tours to Ireland for more than 29 years and has helped more than 3,000 Barbershoppers (BHS, SAI, HI, MHBQA) and their families experience the magic of Ireland. He is, by far, the most knowledgeable Barbershop Tour Director when it comes to coordinating Barbershop Harmony with Ireland. 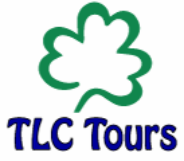 TLC Tours provide quality accommodations (3-star/4-star) with a full Irish breakfast every morning and dinner most evenings, including a Medieval Banquet at Bunratty Castle. Each day offers a rewarding sight-seeing program that enables you to see highlights and with free time for independent activities. When comparing "apples-to-apples," you can't beat TLC Tours pricing. If YOUR chorus (plus family members & friends) is ready to create memories that will last a lifetime, please call Leo Larivee at 1-888-609-2930 and let's get started planning YOUR Ireland adventure. It will change your life and the lives of every man/woman in your chorus! A free, no obligation quote is available for the asking. Please call Leo Larivee at TLC Tours (1-888-609-2930) for more information. annually, on the first full weekend in October.